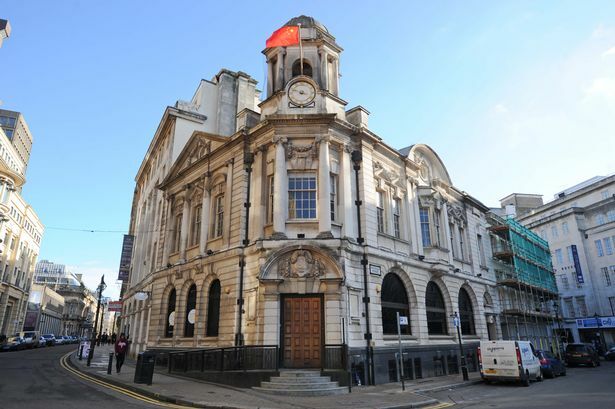 A Grade II-listed building in the heart of Birmingham&apos;s business district is set to be transformed into a restaurant following a landmark Chinese investment deal earlier this year. In February, it was announced the owners of a factory in Hangzhou had formed a consortium to buy 130 Colmore Row and would work alongside former Wragge & Co lawyers James Ng and Anthony McCourt to redevelop it. At the time, a plan to create a Chinese-focused business centre, restaurant or even a Chinese consulate in Birmingham were all mentioned as possible future uses for the vacant, 5,500 sq ft unit. Now, a new planning application has been lodged which is seeking permission to carry out internal renovations to create a building suitable for a bar or restaurant occupier, expected to create 35 full- and part-time jobs. Design by Goddard and Co. of Leicester, 130 Colmore Row dates back to 1903 and was once the office of Alliance Assurance. Previously owned by Birmingham City Council, it is Edwardian Baroque and was more recently used as a carers&apos; centre. No potential occupier is mentioned in the planning application but whoever takes on the space will benefit from high week-day footfall and its position in the Colmore Business District and close proximity New Street and Snow Hill stations. The building is within the Colmore Row and Environs Conservation Area which has seen similar restorations of former financial buildings including the Birmingham Joint Stock Bank becoming The Old Joint Stock and Lost and Found, housed in the former National Provincial Bank of England. A design statement prepared by K4 Architects, the firm behind the redevelopment of Central Fire Station next to Aston University, said the alterations would include a new lift from the basement to second floor, a new external terrace and the installation of a dumb waiter to serve dining areas. It added: "The proposed alterations provide as much open floor space as possible whilst preserving important historical features. "(These) will complement other uses in the area providing a valuable amenity to city centre workers and visitors alike. It will also provide more active frontage onto Victoria Square and complement the long term redevelopment of Paradise Circus. "This provides an opportunity to update the facilities of the building in line with modern requirements ensuring its continued use. "The existing features of the building will be preserved wherever possible as this will add to the distinctive character of the restaurant." Plans for a similar conversion on the ground floor of Three Brindleyplace were also recently lodged.